GearWrench 3/4'' impact socket extensions are made with chrome molybdenum alloy steel (Cr-Mo) for exceptional strength and durability. GearWrench 3/4'' impact socket extensions feature a pin hole for use with pins and o-rings for secure socket retention. GearWrench 3/4'' impact socket extensions feature high visibility laser etched markings and meet or exceed ASME B107.2 standards. 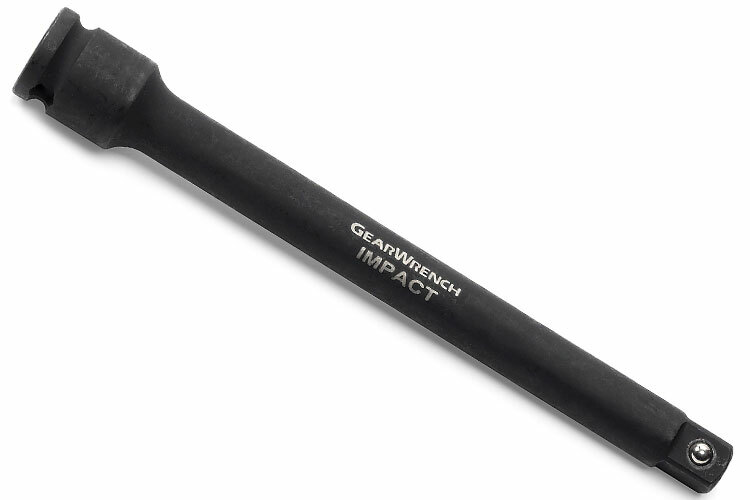 The 84886 GearWrench 3/4'' Impact Socket Extension is one of thousands of quality tooling products available from MRO Tools. Please browse GearWrench 3/4'' Impact Socket Extensions, Adapters, Universal Joints for tools similar to the 84886 GearWrench 3/4'' Impact Socket Extension. 84886 GearWrench 3/4'' Impact Socket Extension description summary: GearWrench 3/4'' impact socket extension. Male Drive Size: 3/4'' Female Drive Size: 3/4'' Overall Length: 10'' Quantity discounts may be available for the 84886 GearWrench 3/4'' Impact Socket Extension. Please contact MRO Tools for details.